Every day in September join our www.AmigoBingo.com Main Room for your chance to win HUGE jackpots! 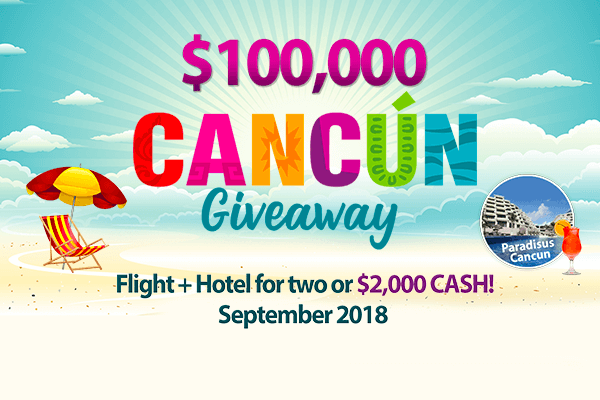 Every time you win one of our special $100,000 Cancun Contest patterns you will automatically be entered into our Grand Prize Draw at the end of the month. Join the www.Amigobingo.com BINGO fun NOW and get your $50 Gift, no deposit needed! This entry was posted in Blog on Sep 6, 2018 by Amigo Bingo.